6. 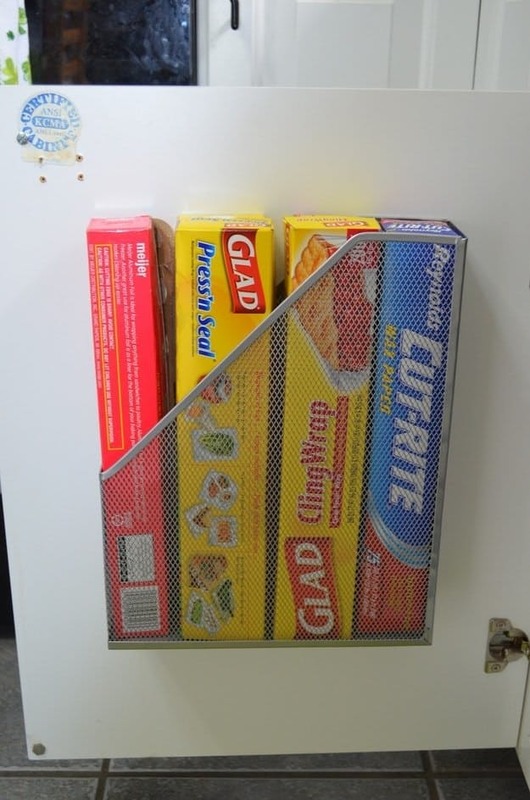 Use a Magazine Holder to keep track of those handy wraps so you can find them when you need them! Found on Apartment Therapy.